Most of the past decade of shocks—but not last week’s M=3.5 event—lie in the Coulomb trigger zones imparted by the 1872 quake (the stresses are calculated using a reasonable but uncertain model of the rupture, based on the field mapping of the late and gifted Sarah Beanland and Malcolm Clark, 1994). 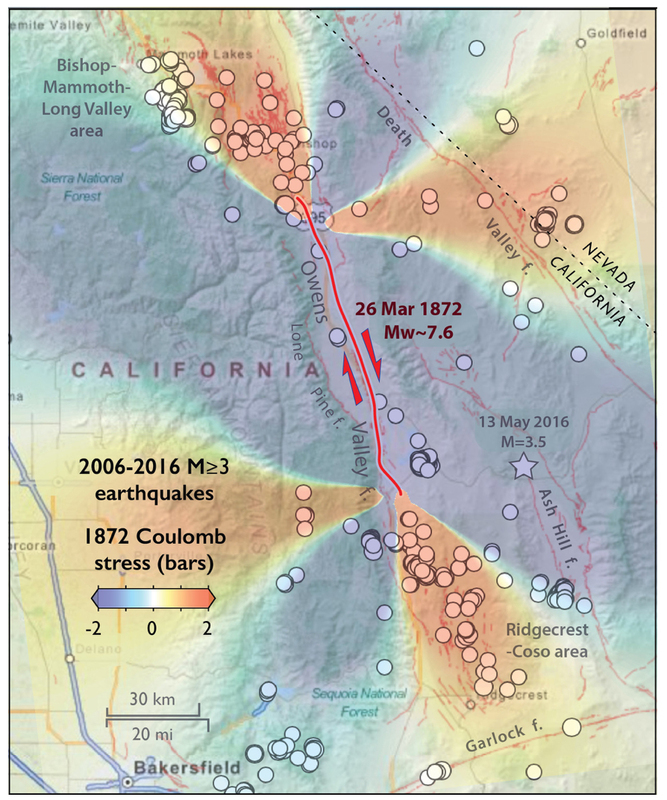 The Coulomb trigger zones encompass the quakes beyond the ends of the 1872 rupture, and to a lesser extent, those extending to the east and west. But could stresses imparted 145 years ago still play a role today, or is this a phantom correlation?